I consign at a shop here in town. I stopped by this morning and was pleasantly surprised to find I had made some sales. A necktie bag and a couple of baby bibs were a few of the items I had sold. 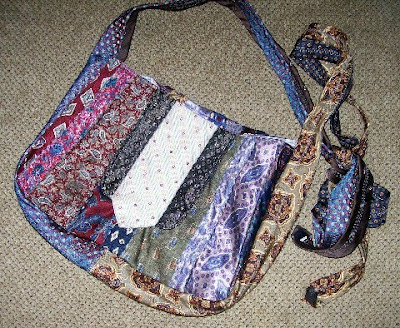 The necktie bag is a fun project using thrift store neckties. This can be addicting as you never look at a necktie the same again. Since I started making these bags my necktie stash has gotten a bit out of control. 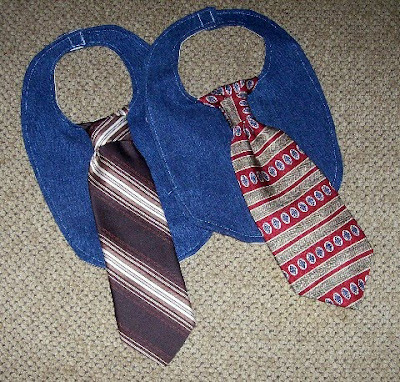 The baby bibs are fun to make as well using a necktie and some old jeans. The estate sale was a flop. They really did not have much and were priced very high for the items they did have. I bought a hamper and hubby got a travel mug for work. I went to the thrift store and found some junk.... a box full. They had woman's tops buy-one-get-one-free. I could not pass that up, so I bought two wool sweaters. I want to cut them up and make mittens out of them. I will post a pic when I get them done. 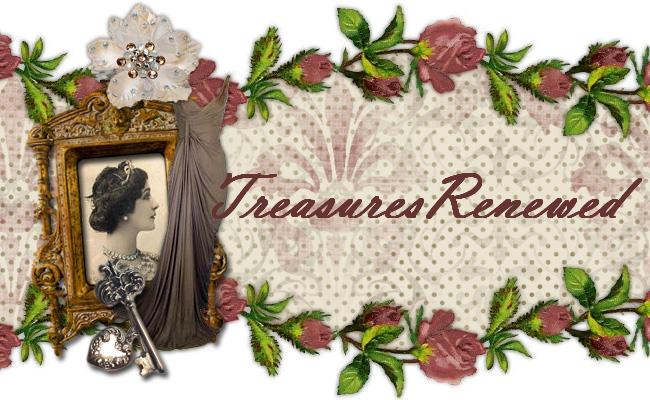 I have so many projects I want to get done ...... Stop back soon and check out my progress. I would love to try & make one of these purses. Do you have a pattern you are willing to share with me?? I have quite the stash of neckties & have been looking for a project to attempt. My husband keeps saying I have enough ties so now do something with them!! Yes, collecting ties IS quite addicting!! !